For years, a couple of friends of mine have been telling me about a unique hot dog experience in (Little) Washington, NC. Trouble was... I don’t find myself in that area very often. 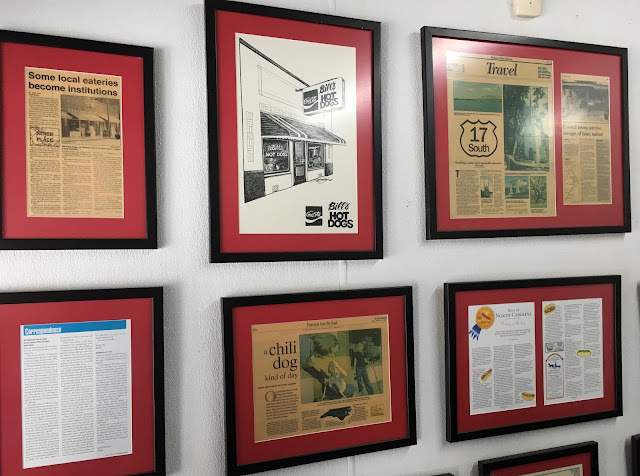 When my husband and I decided to celebrate my birthday at the Chef and the Farmer in Kinston, we thought it would be a perfect opportunity to make our way to Little Washington the next day. 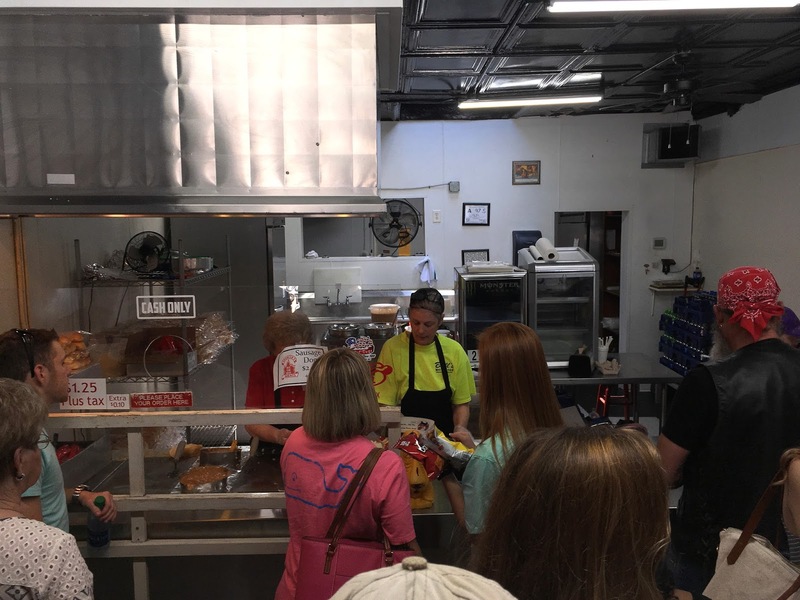 As luck would have it, the friends who have raved for years about Bill’s Hot Dog Stand were able to meet us for the experience. And an experience it is! We arrived on a Saturday around lunch time, and we weren’t the only ones. The line snaked back and forth through the small storefront. You find the back of the line and follow the folks in front of you until you can place your order. Take a couple more steps, and pay, telling the cashier if you want any soft drinks or banana pudding. By the time you pay, your order is ready. Stop by the drink case to get your beverages and dessert, and exit, leaving a fresh batch of hot dog hungry people waiting for their turn. Bill’s hardy has enough room for the throng waiting for dogs, so you have to eat them somewhere else. We took our bounty across the street to the riverside park. 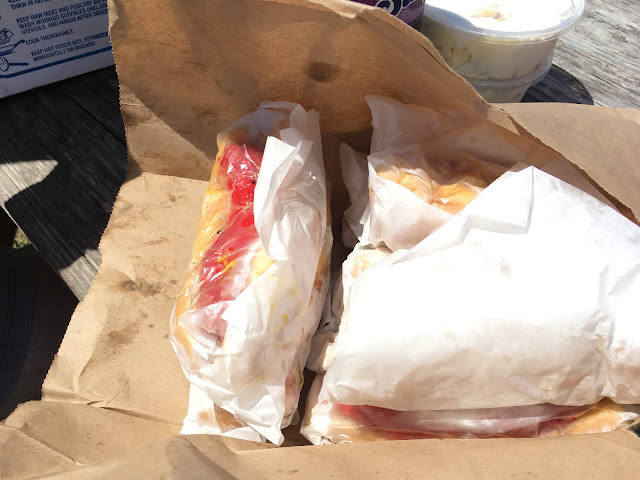 Ours was a sunny day with a balmy coastal wind--nearly perfect for munching at a picnic table. I’ve really never had anything quite like these dogs. 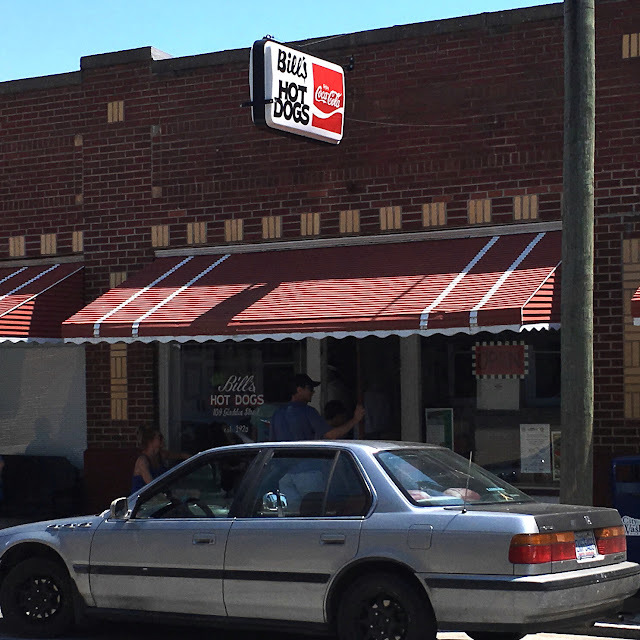 They aren’t really the traditional Carolina Hot Dog; they don’t offer coleslaw, and the chili is made of bacon grease, old buns, onions, and spices. Yes, bacon grease. Actually, it tastes like it could be grease from fatback, but I’ve been told it’s bacon grease. It doesn’t look or sound the most appetizing, but it’s amazingly good! It’s more than a flavor thing; it’s also textural—the way the chili is absorbed by the white bread bun and makes it nearly fall apart in your hand. Mustard, onions, and chili make a dog all the way, and they all work in harmony to create a wonderful sensation. It sounds like an odd comparison, but the chili reminded me of my great-grandmother’s milk gravy on loaf bread—pumped up with a nice burn from cayenne. 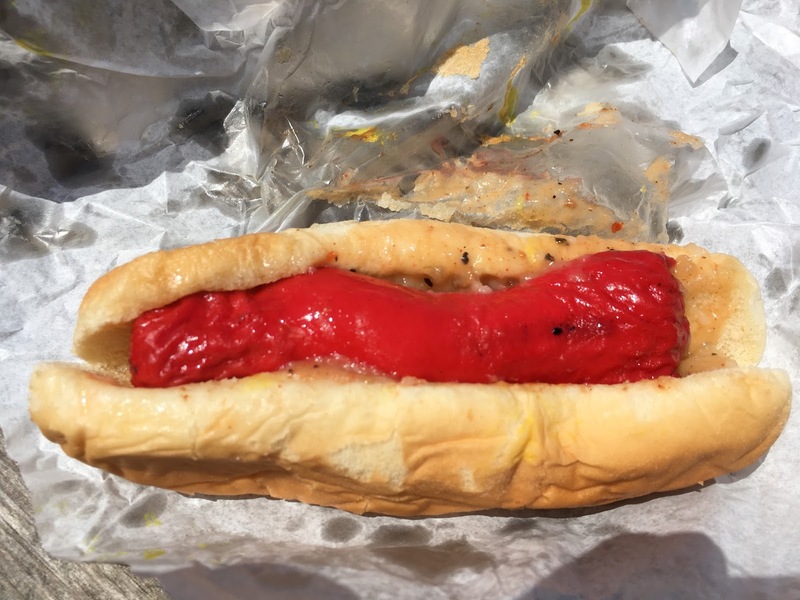 Of all the hot dogs I’ve tasted, I’d say Bill’s Hot Dogs were the most unique experience. I’ll be on the lookout to find other hot dog stands with a similar culinary philosophy. If you’re ever in Little Washington, or want to make the trip, I highly recommend checking these out.